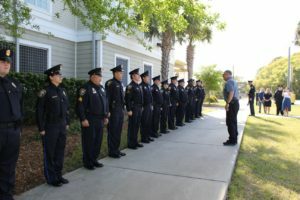 The Isle of Palms police force at Chief Buckhannon’s retirement in April. 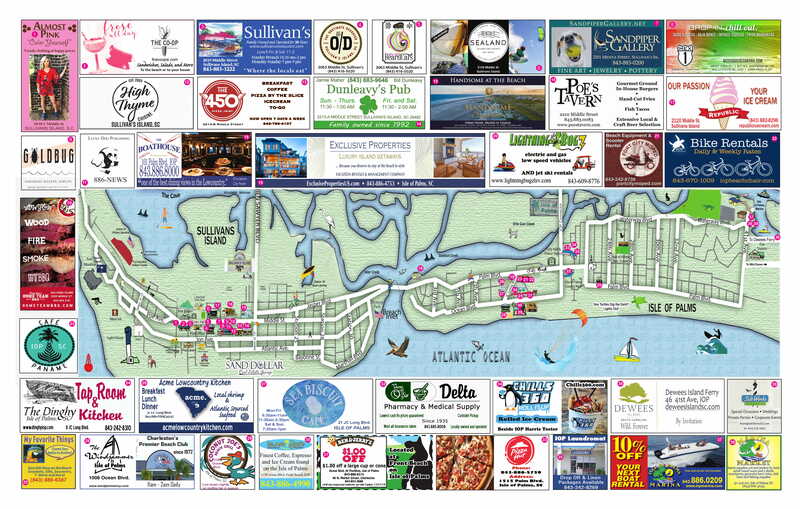 In May, Safewise, a company specializing in home safety, published their list of “2018’s 100 Safest Cities in America.” Isle of Palms came in at number 48. 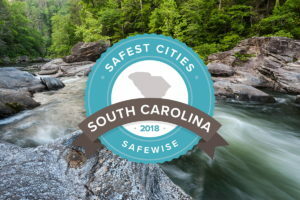 According to Interim Police Chief Kim Usry, Safewise gets the rankings for their report from numbers submitted to the FBI through the South Carolina Law Enforcement Division. 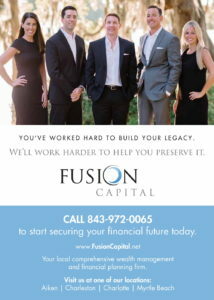 The numbers mentioned include our 0% violent crime rate and 26.7% property crime rate (per 1000). 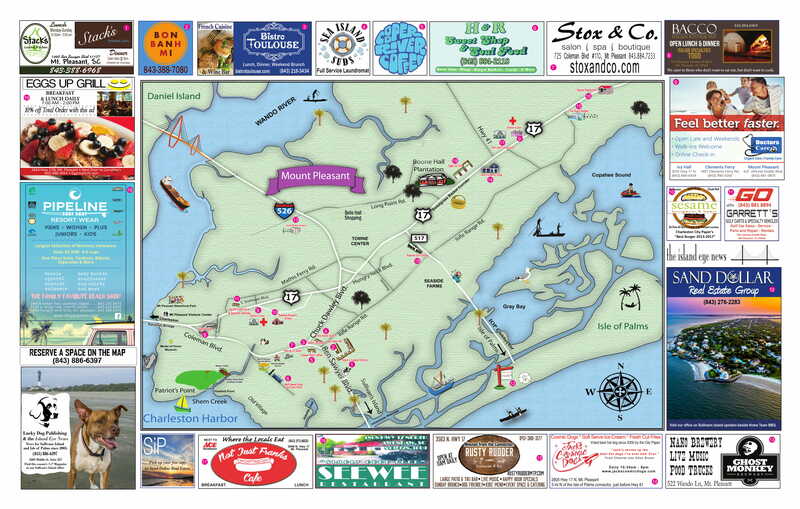 With, Isle of Palms is not without any crime. Chief Usry remarked on how many calls the police force responds to are those of people having too much to drink and getting into arguments as well as reports of theft or vandalism. 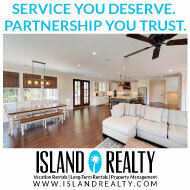 “With an increasing number of visitors, we’ve overall seen an increase in behaviors we’d like to prevent, but we have a fairly large police force for the size of the island that we are and a commensurately large fire department. 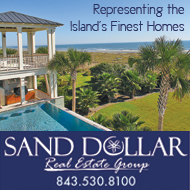 I don’t think the residents should expect any less,” Bell said. 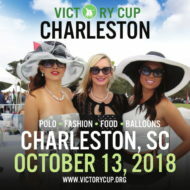 The Isle of Palms Police Department often leaves flyers on unlocked cars and unsecured bicycles that read ‘You Could Have Been the Victim of A Crime’ according to Chief Usry. “I want to see the officers very much involved in doing our best to interact with the citizens and encouraging our citizens to follow us on Facebook and Twitter so that they can keep up with the information that we’re putting out,” Usry said. 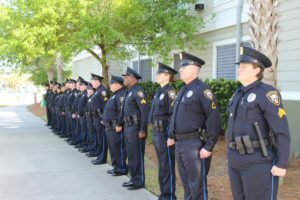 “We are very proud of our safety ranking, and we know that it is due to a collaborative effort between our department, the citizens and our elected officials who provide us the support we need to continue to keep everyone safe,” Baldrick said.